For most of us Christmas is our special time of year. It is the time of snow, twinkling light, festive celebrations and hopefully a span of days that families are able to remember. There are dozens of ways Christians celebrate this day. Each area of the country will have little differences in what they may serve for Christmas dinner, when that is served, or even when the packages are open. 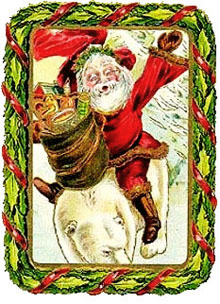 Christmas is so varied that I remember as a small child being continually confused between its meaning–there was Santa Claus, Jesus and St. Nick. When I went to church I thought I understood, but then in stores and in story books there were these other characters. My Mother tried her best to explain the differences in the meaning of Christmas, yet that understanding didn’t come until much later in my childhood. Tonight Hannukah begins at sundown. In four short days Christmas will arrive. A busy time of year for most people and a time that because of being busy we may forget to tell the people that we are close to how important they are to us. It is a time of year that is to be filled with the warmth from our heart and share that warmth with others. 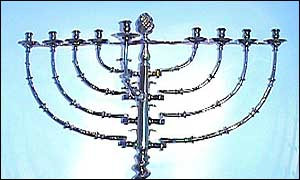 Hannukah also symbolises the light of religious, national and cultural freedom won by the Maccabee family for the Jewish people. If the Jews had been defeated at this time and their monotheistic religion obliterated, Christianity would never have been born, a very important point to remember when comparisons are made. Posted on December 21, 2008 September 5, 2010 by suntithenaiPosted in Christmas, Hanukkah, Holiday, KwanzaTagged childhood, christianity, menorah. Next Next post: Finally, I came to a conclusion!! Where are you??? You’re in Arizona and I didn’t know it yet!! We need to plan a time to get together! Soon! I mean it! Now, for the Holiday comment…one of the things I appreciate so much about you, Frank, is your ability to love and accept everyone despite their differences. You don’t place a higher value on those beliefs and traditions that you hold than you place on those of others. You embrace all traditions and methods and then you learn and educate us through your blog! I love that about you!! Lynda, Yes, I am here, but I hate to tell you I have not been in the greatest mood since my arrival and thus my not contacting you until I could smile a little Arizona has even more triggers for my depressions than Illinois. I will write an email to you. I apologize. And yes, my family meaning immediate not grandparents, always believed in respecting and learning of others beliefs and ways. I have a great curiosity and respect for others lives. Unfortunately I have not been able to influence as many people as I would have liked to. My Mother was very strong and very defiant with people if she felt bias against anyone. She was like that her who life. She preferred cutting loose a friend if they didn’t cut the muster of being accepting. Most always her friends made sure they followed her way. People are equal. All people have the same heart and feelings and I can’t imagine not recognizing them. Its so nice to know you are on wordpress again I missed you.